We at Nest pre school- the best pre school in Gurgaon focus on health, hygiene and the overall development of our kids. 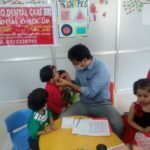 Keeping this in mind a Dental checkup was carried out at Nest pre school with the curiosity to find out the prevalence of dental diseases in our little chocolate lovers. Little nestians were initially curious, puzzled and panicky about the whole process. But with friendly dentists around they got themselves examined and learned the good oral hygiene practices for their teeth and gums. 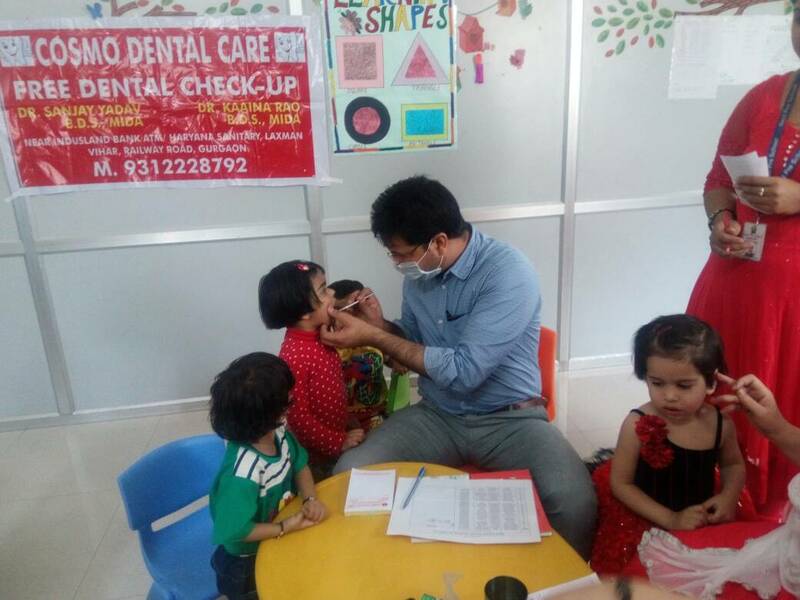 Our little ones enjoyed a date with dentist in school. A toothpaste was also gifted to them by the dentist.